Workers in the tech industry are often split into two categories—the engineers who create a company’s products, and the staff of cafeteria workers, shuttle drivers, and security guards who help keep tech campuses running. Members of the latter group are often categorized as contractors rather than employees and miss out on the cushy salaries and benefits doled out to their coworkers. That’s led to a wave of unionization in Silicon Valley over the last several years. Today, 150 workers who staff the cafeterias at Airbnb’s offices in San Francisco and Portland are the latest to join a union, ratifying their first contract with the United Automobile Workers (UAW). Like other food service workers in the tech industry, Airbnb’s cafe staff is employed by a contract company, Bon Appetit. Yahoo’s food service workers, who are also employed through Bon Appetit, voted to unionize in December, and Facebook’s cafeteria workers unionized last summer. 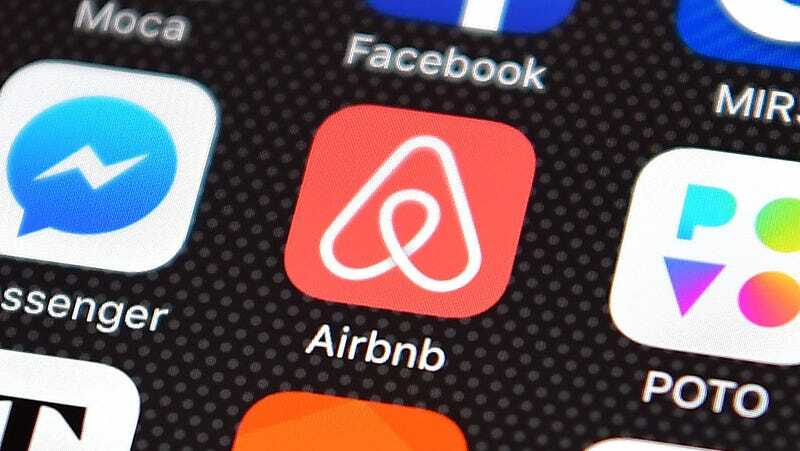 Workers at Airbnb pushed for higher wages and more substantial benefits, UAW said in a statement. “The contract raises the bar for working people up and down the West Coast,” said UAW Western regional director Gary Jones. “We believe the dishwashers, servers and chefs working for Bon Appetit and serving Airbnb employees are now among the highest paid food service workers in California.” Their contract will guarantee a five percent wage increase this year, UAW said. Airbnb said it supported the union push by asking Bon Appetit to remain neutral on whether its employees unionized. The startup is also working to guarantee living wages for contractors who are hired to clean Airbnb units.